Ballitore is situated between Kilcullen and Castledermot, just off the N 9. 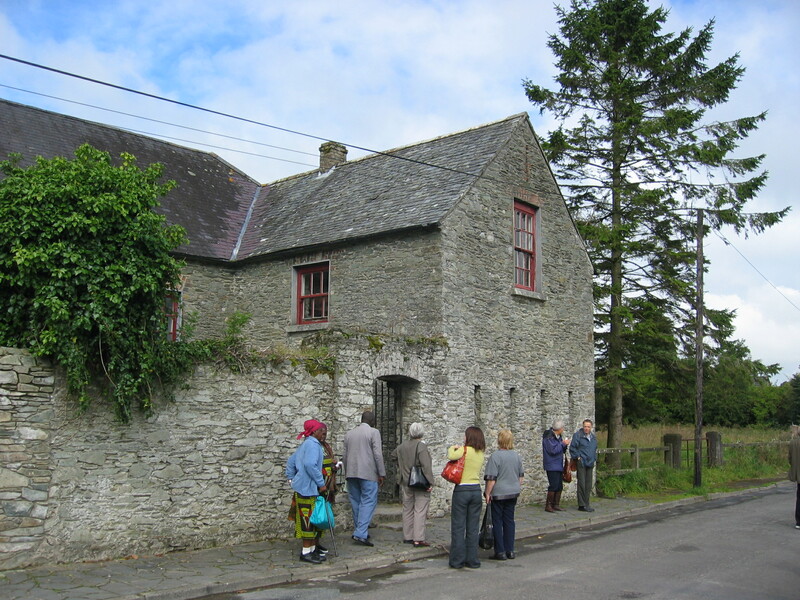 As you enter the village of Ballitore turn left in the centre square – the Meeting House is about 200 metres on the right. Meeting for Worship takes place every Sunday at 11 am. Ballitore Meeting is part of Co Wexford Monthly Meeting. In 1685 two Quakers decided to settle beside the Griese river, and the story of Ballitore began. They built wool and flour mills, and over the next two centuries more Quakers settled and developed what became known as the “Quaker” village. In 1726 Abraham Shackleton started the famous school which lasted for over a century and that numbered Edmund Burke, Paul (later Cardinal) Cullen and Napper Tandy among its pupils. Last century the village went into decline, but twenty years ago saw the start of its revival, and now it is once again attractive, with the old Meeting House refurbished, and Mary Leadbeater’s house rebuilt and housing the Library and a small Quaker museum. The museum is open during the week, and also on Sundays from June to September between 2pm and 6pm. Four kilometres south of Ballitore, in Moone, there is one of the most delightful large stone High Crosses in Ireland. It has unusually good carvings of biblical scenes. 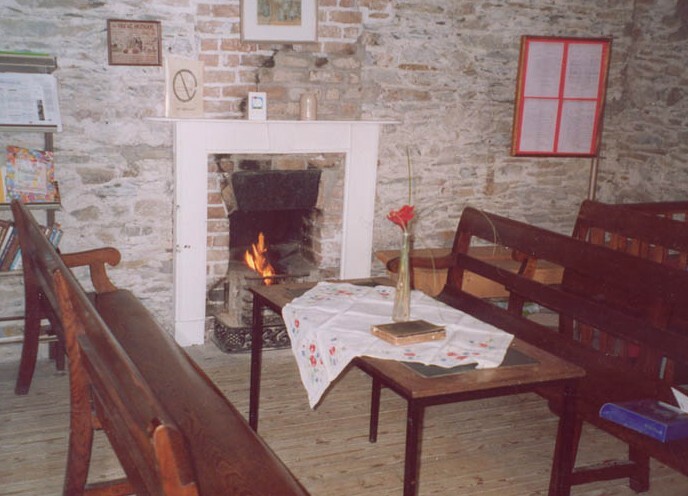 In summer one can go to Meeting for Worship, then visit Moone, have a picnic, and return to the museum in the afternoon. courtesy of the Kildare Community Network.